Civil Contractors New Zealand (CCNZ) chief executive Peter Silcock said while marginal increases in infrastructure investment are planned and may give contractors confidence to invest for future growth, more is needed to tackle challenges resulting from increased severe weather events, population growth and chronic under-investment in New Zealand’s water infrastructure. Mr Silcock said CCNZ was also concerned transport infrastructure construction expenditure would reduce as design, consenting and preparatory work for new projects over the next two to three years as the Government’s focus shifted from state highways to light rail and rapid transit. He said the Office of the Auditor General had repeatedly raised concerns around local government spending less than projected on capital projects, including new infrastructure and major upgrades. In the 2015/16 audit results, local authorities local authorities spent only 70 per cent of what was budgeted for capital expenditure, with little improvement in the 2016-17 results. 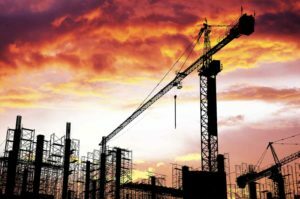 Despite these concerns, contractors welcomed the intent of the report, which placed a focus on consistent workflow and development of skills – important factors for contractors in planning future investment in their people, plant and systems, Mr Silcock said.